Online stream and script HERE. (Hot hits made with cool computers - Computers and music. 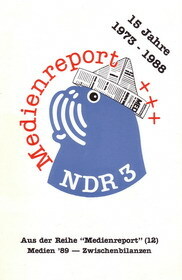 Several further radio docus and short contributions for "Medienreport" and "Logo" as well as for the satirical magazine "Reißwolf", all NDR radio (Hamburg).